Naomi's parents pit-stopped at our house on their way down to Costa Rica for a two-week vacation. Mia was happy to see them. In fact, Mia is happy to see everybody. 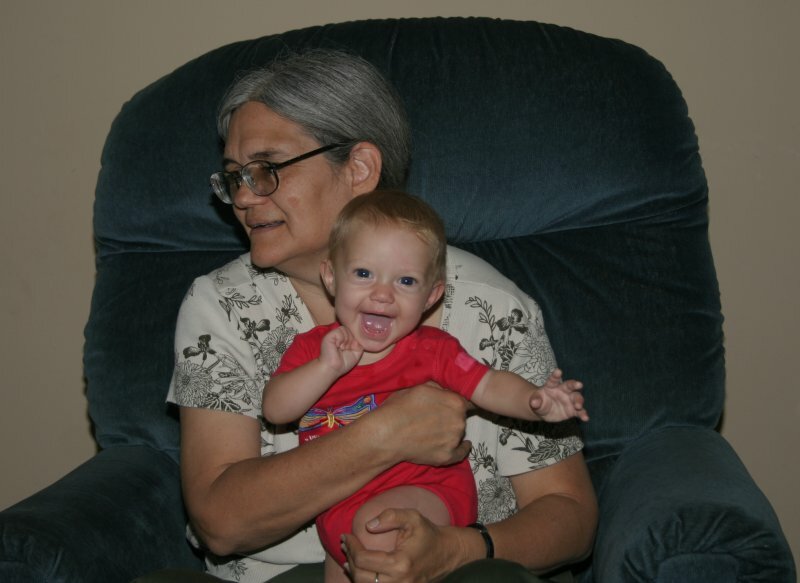 In picking pictures for this update, I was struck by how she's smiling in every picture. She's been the easiest baby possible, and we've been enjoying her more and more the older and more capable she gets. She's still not crawling though. Jacob also stopped by and got some quality time with Mia. 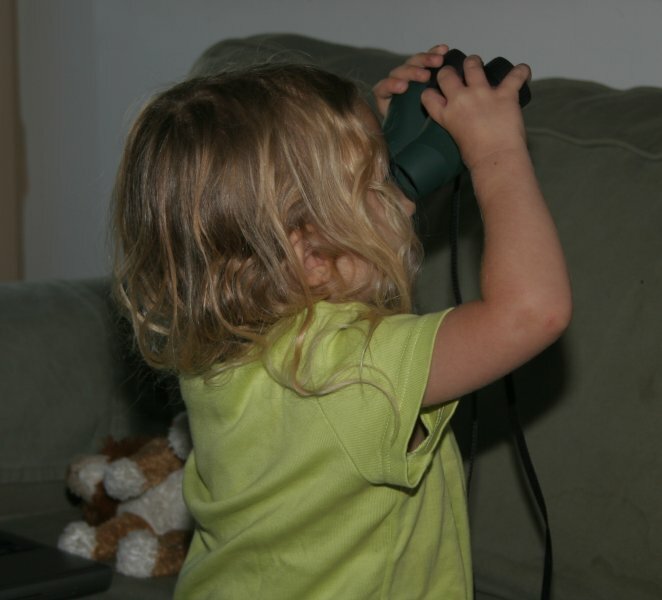 Amelie has been playing with the binoculars, but turned wrong-way round so everything looks far away through them. Mia's first tooth came in this month. 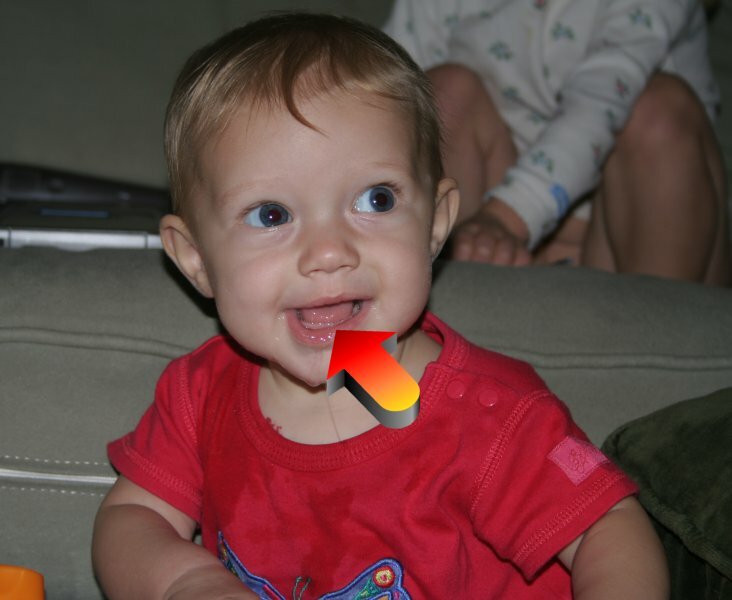 I checked through Amelie's first year pics and she also had her first tooth at six months. 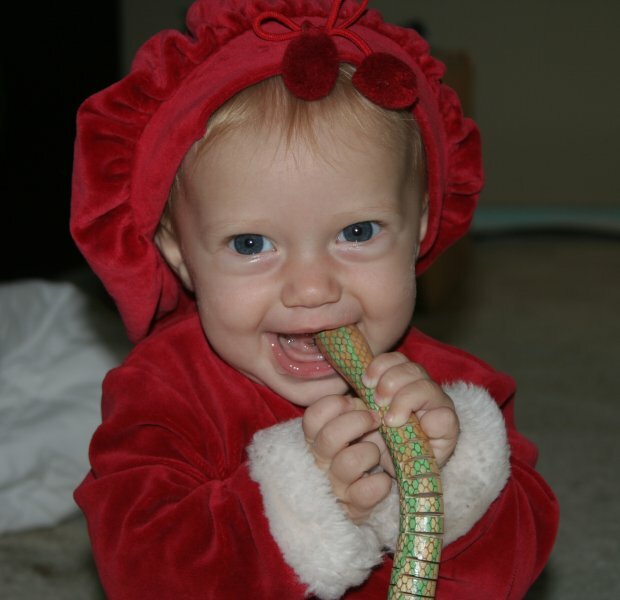 And here she is using that single tooth to gnaw on a wooden snake. 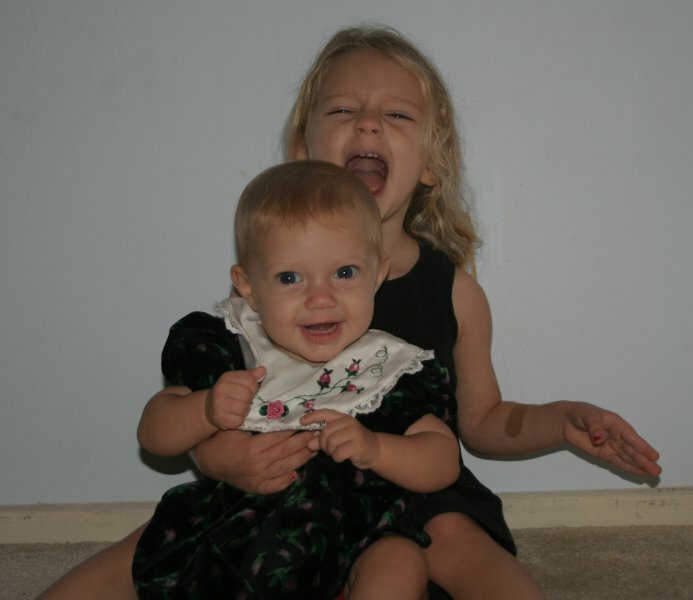 Here's what you get when you dress up the kids and tell Amelie to smile and say "Chucky Cheese!". 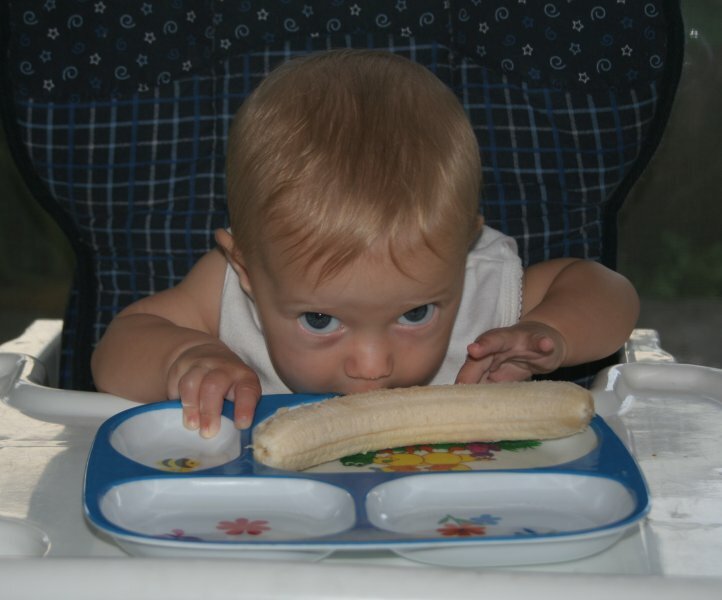 I love this picture because if you notice, Mia is eating the plate, not the banana. You gotta love that. 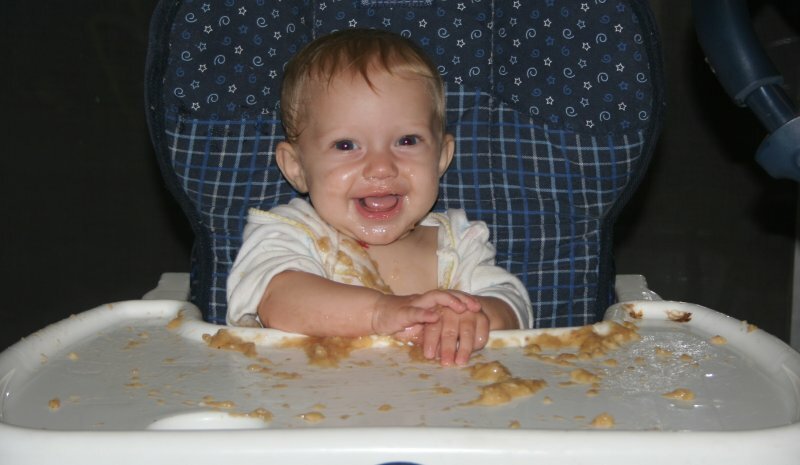 This is after she was done with the banana. She was completely covered with it. Mia finally got a chance to swing a little, and Amelie even helped push her. 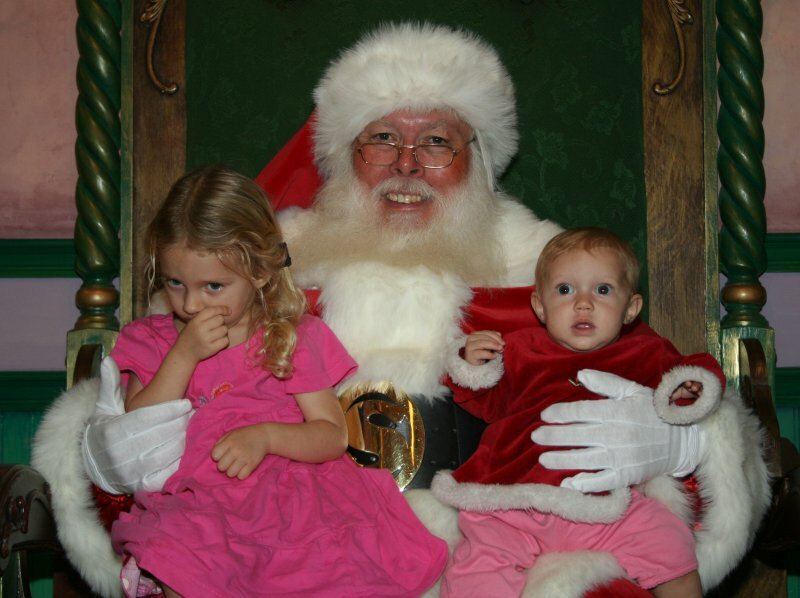 The first time we went to see Santa, Amelie and Mia were both a little freaked out. So, the pictures, didn't come out at all. Amelie had her hand in her mouth the whole time. After we left, though, Amelie was bugging me to go back and see Santa again. So, we waited in line again and it was an amazing difference. This time Amelie was happy and comfortable. The first time, Mia was totally freaked out by Santa's helpers doing stuff to make her smile, so the second time we told them to not do anything, and we just let happy little Mia smile all by herself. 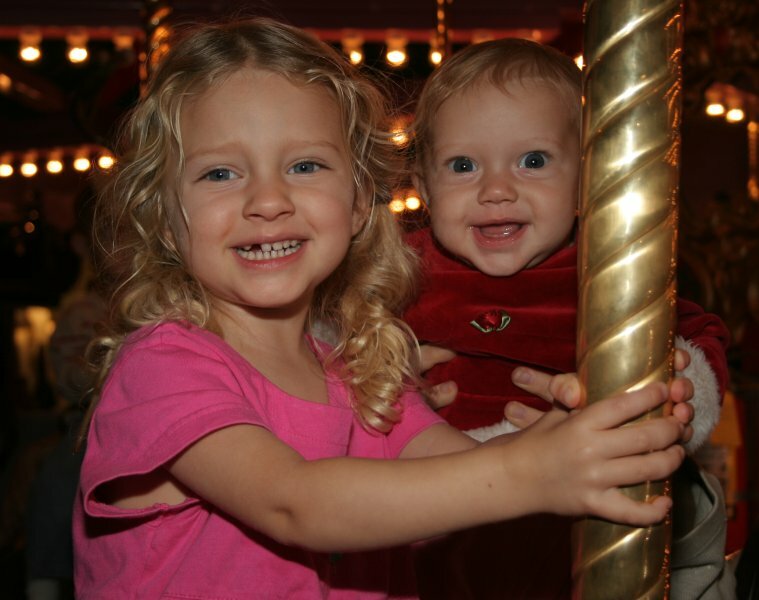 After seeing Santa at South Coast Plaza, we took our turn on the carousel there. 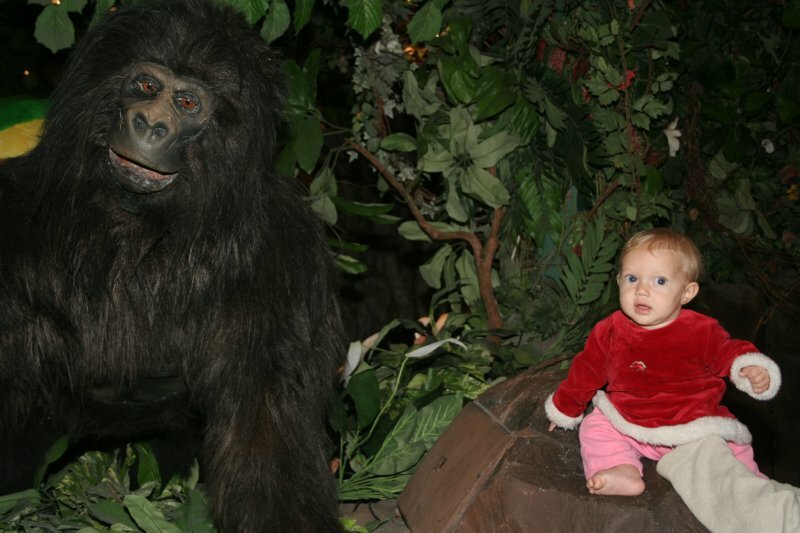 Mia was able to get close to the normally reclusive mountain gorilla. 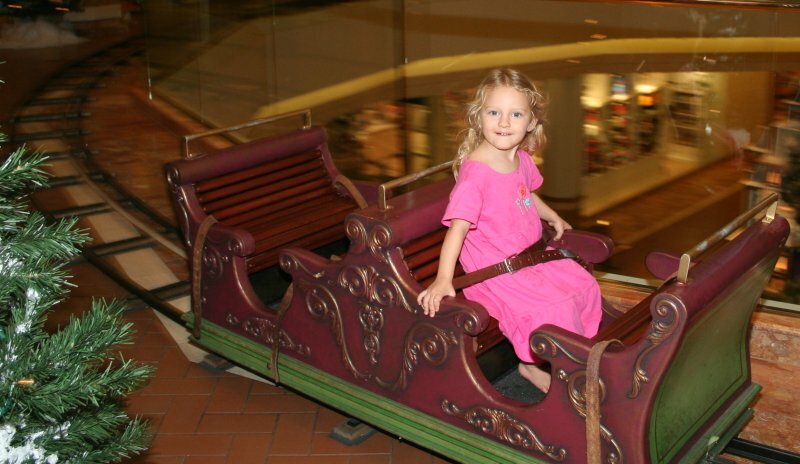 Amelie also got a chance to ride the train they set up for kids at the mall. She rode this train a lot. Until we see you again, we'd like to wish everyone a very Merry Christmas!